You are welcome to meander through the farm fields, enjoying the babbling brooks and River Dane and to view the historic North Rode railway arches. North Rode offers lovely countryside with nature at its best and a peaceful environment. Lovely walks are accessible from the doorstep but slightly further afield are the delights of Macclesfield Forest with its hills of Shuttlingslow and Teggs Nose, Bosley Cloud, The Roaches, the Gritstone Trail, Hanging Stone & Lud Church - all with spectacular views - and all within only 20 minutes drive away. The Macclesfield canal with the very attractive Bosley locks is just up the road. North Rode is an excellent base for numerous attractions such as Alton Towers and Jodrell Bank with its famous Lovell telescope. 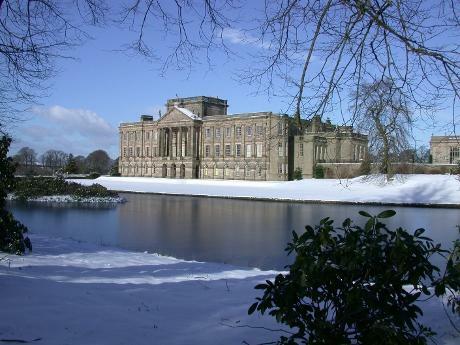 The historic houses of Chatsworth House, Capesthorne Hall, Gawsworth Hall, Little Moreton Hall, Lyme Park, Tatton Park, Haddon Hall, Styal Mill and Biddulph Grange are all within easy reach. The beautiful Tittesworth and Langley reservoirs and Rudyard Lake are only 15 minutes drive away and if you fancy the seaside, then Blackpool, Southport, Llandudno and Liverpool can be visited in under 90 minutes. The historic towns of Chester, the 'Potteries' and Manchester are within easy access and of course the extensive delights of the Peak District and the Staffordshire Moorlands. Tourist Information Centres are situated in Congleton congletontic@cheshireeast.gov.uk and Macclesfield macclesfieldtic@cheshireeast.gov.uk Town Halls. Visit the 'Discover Cheshire' website to plan your days out with the new, interactive website of www.discovercheshire.co.uk. From ancient wizards and shining engines, to historic houses and sensational shopping, Cheshire's market towns offer a day out with a difference. Discover each one at www.cheshiremarkettowns.co.uk. Visit Chester & Cheshire www.visitchester.com or www.visitcheshire.com. If cycling and horse riding are your interest - then this area is an ideal base for enjoying the delights of the Biddulph Valley Way, Somerford Park Farm, the Middlewood Way and Macclesfield Forest. Colley Farm offers secure cycle storage and stabling for two horses with ample parking for a horsebox / trailer. Visit the Peak District National Park - Britain's first designated national park with spectacular views & pretty villages www.visitpeakdistrict.com. For downloadable packs of over 30 different walking routes, visit www.discovercheshirepeakdistrict.co.uk. The Gritstone Trail - for detailed information, visit www.discoverthegritstonetrail.co.uk. 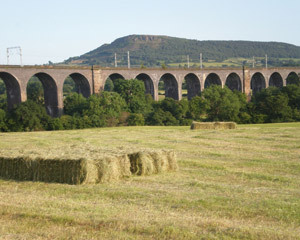 For information on horse riding, cycling routes and country parks visit www.discovercheshirepeakdistrict.co.uk. Visit Staffordshire with stunning panoramic views in the heart of England - ww.enjoystaffordshire.com. If you wish to maintain fitness levels with a swim / gym, then Congleton Leisure Centre is only a five minute drive away. Rode Hall House & Gardens at Scholar green, visit www.rodehall.co.uk. Lyme Park, House and Garden - magnificent estate on the edge of the Peak District, nestling with sweeping moorland www.nationaltrust.org.uk/lyme-park. Tabley House - grade 1 listed - the finest Palladian mansion in the North West designed by John Carr in the 1760's www.tableyhouse.co.uk. Tatton Park - one of the most complete historic estates in Britain set in a 2000 acre deer park and featuring a mansion, gardens, Old Hall, adventure playground & working 1930's Farm - www.tattonpark.org.uk. Gawsworth Hall - one of Cheshire's most beautiful historic manor houses - www.gawsworthhall.com. Chatsworth House - set in the heart of the Peak District in a 1000 acre park, enjoy the house, garden, shop, farmyard and adventure playground - www.chatsworth.org. Cheshire's Peak District is packed full of quirky museums, magnificent National Trust properties and glorious churches - visit ww.cheshirepeakdistrict.com. Textiles - The area is rooted in the textile industry with Macclesfield (Silk Weavers - see Silk Museum) Congleton (silk ribbon makers, fustian cutting, cotton spinning, velvet production) and Leek (Embroiderers) renowned for their textile production - visit www.textilefestival.com for further information about hands on workshops, textile auctions, guided mill walks, contemporary textile exhibitions and talks visit www.silkmacclesfield.org.uk/museum-sites.html and www.congletonmuseum.co.uk. Anson Engine Museum, Poynton - a multi-award winning museum - www.enginemuseum.org. Cheshire's Gardens of Distinction discover more at www.visitcheshire.com/gardens. Beautiful museums and an array of theatres are close by and if you wish to shop, then The Trafford Centre, Lowry Outlet, the Potteries and Liverpool One are all within easy travelling distance. Arts, Culture and Events - visit www.cheshirepeakdistrict.com. Taste of Cheshire's Peak District - tickle your taste buds and sample some of the best of Cheshire's produce - for more information about places to eat and drink visit www.tastecheshire.com. For a great family day out full of thrills and spills, visit Alton Towers - www.altontowers.com.